Whether you like it or not, the year 2018 has taken its final stretch and we are about to welcome a new journey. Seems too fast, isn’t it? As the New Year begins, it is a common tradition among families to come together for the celebration. Whether your celebration is a small or big gathering, you are going to make it something wonderful, right? With that, you will need decorations and holiday Light installation, apart from scrumptious foods and drinks. The New Year celebration comes only once in a year, so we want to make it splendid and make our family members and relatives feel delightful and welcome. Good residential lights offer a great sublime and present an utmost glee. Isn’t that wonderful for your celebration? Greenforce Outdoor Light, a Christmas Lighting Installation in San Francisco, California can help you achieve that level of gratification as you celebrate the New Year with your entire family at home. To make your residence more pleasing, we suggest you integrate appealing lights beginning in the entryway. A mix of warm and cool white is the most favorable color for New Year since they open up your home with a fascinating feeling, which your visitors will surely like. Inside, you can embellish your Christmas tree with white lights and make it appear a winter night’s dream classic design. How else are you planning to decorate your house for the New Year celebration? 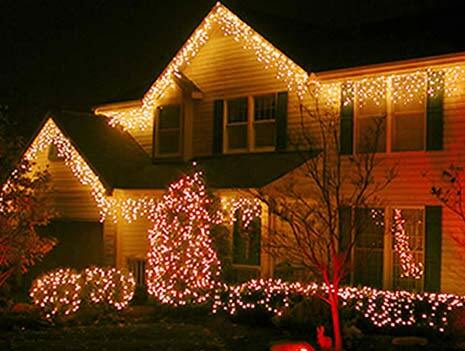 Whatever your plan is, let an Xmas Light Installation in California help you achieve that. As we celebrate and bid farewell to the old year, may we not forget that the essence of the New Year is beyond home decors or delectable foods. Apart from the enjoyment involved in this holiday, there is much deeper significance that lays – our life itself, and most importantly, our family. Let’s all celebrate the New Year and the coming days with love, compassion, and harmony. This entry was posted in Light Installation and tagged attractive facade, holiday Light installation, Lighting System, New Year Celebration. Bookmark the permalink.